Carl Battreall: I started seriously pursuing photography in high school. I started working for a commercial photographer right after I graduated. I was doing some work in the studio’s darkroom. At the time I was also dabbling in stage acting. The studio owner said I did not have what it took to be a photographer and told me to stick to acting. Obviously, I did not listen. Photography has been my life for over twenty years. 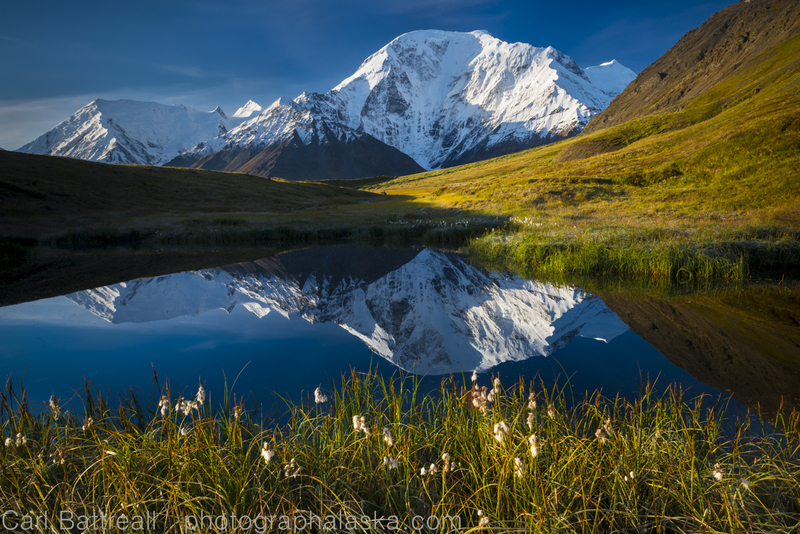 What inspired you to shoot the Alaska Range? I love big mountains and glaciers. 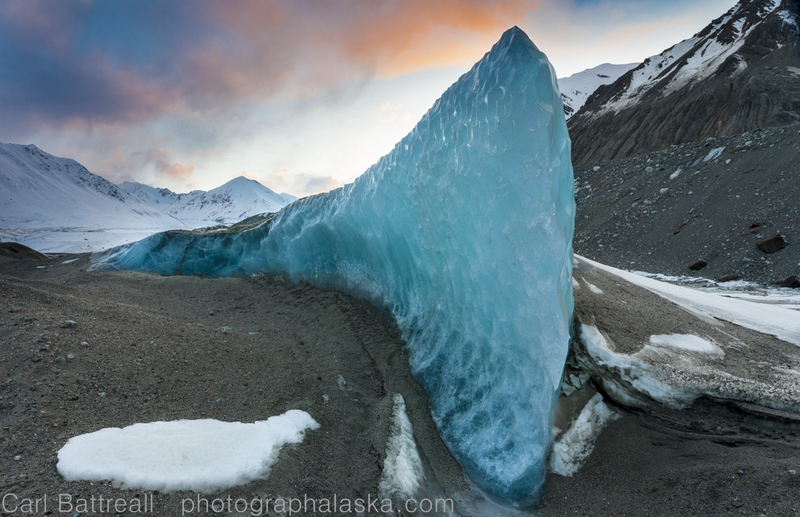 When I realized no one had ever photographed the entire Alaska Range and that there had never been a photography book about the range, I knew it had to get done. 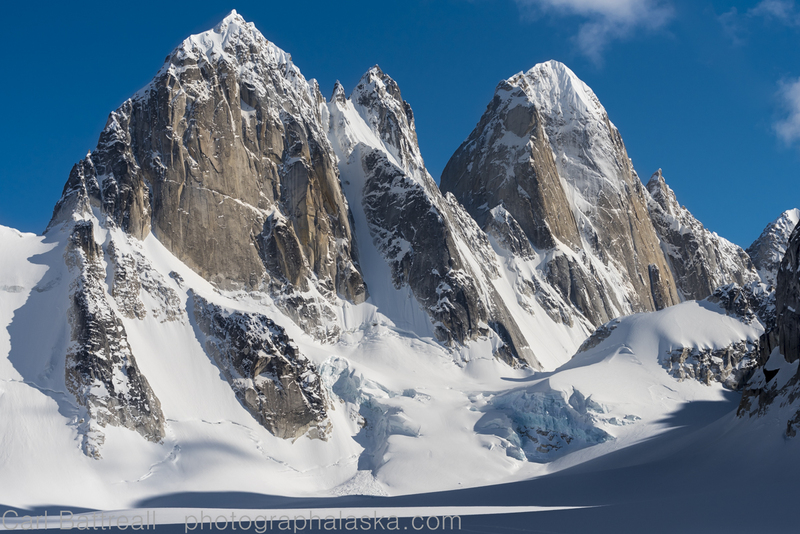 What approach did you take to shoot these images of the Alaska Range? What were you looking for in terms of composition? I work with a 70-200mm lens the majority of the time. I spent five years with an 8×10 view camera and only made contact prints. That taught me to shoot tight, I rarely crop images in post. I like big, bold, in your face mountain images. What was the easiest and most difficult thing you experienced while shooting these images? Did you have to carry all your gear to high elevations? Gear failure while in remote wilderness is always frustrating and digital cameras are more prone to failure, especially in cold environments. Staying safe and motivated when working in extreme situations. It’s hard to be motivated when it is blowing 70 mph or raining like mad. A warm sleeping bag is far more appealing than shivering outside, waiting for the sunrise, but I know the reward for a few hours of suffering is usually worth it. The struggle is keeping your gear from being harmed by the elements: rain, condensation, cold, blowing ice. The real skill knowing how to take care of yourself; having good mountain sense and not taking stupid risks like the chance of frostbite or hypothermia just to get a shot. You have a talented eye for light and colors as seen in these images. Can you give us some background on these images? My approach to landscape photography is different than most. Because I am often working in really remote areas, places I will probably only get to visit once, I need to photograph with what I am given, the light, subject, weather. I can’t just come back later when the light is “perfect”, during that so called “magic hour” that most landscape photographers are obsessed with. Many photographers limit themselves to only working during that period in the day, which I find silly and simply wouldn’t work for what I do. My car isn’t nearby, my house isn’t a few miles away. Often I get one chance to make an image of an area or subject. It can be frustrating, but it has taught me to be creative and to pay close attention to light and the changing scenery. 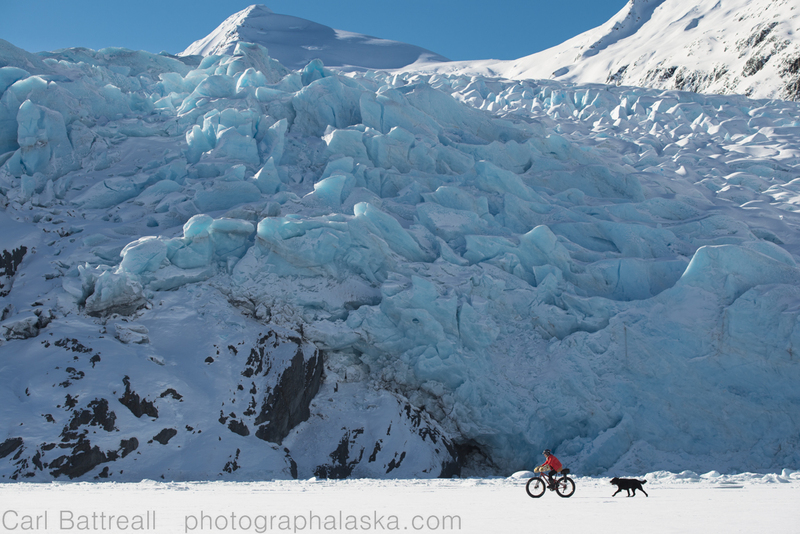 You are also going to create a book of your Alaska Range images. Tell us a little bit about your current Kickstarter campaign and what motivated you to want to do a book. What message do you want people to take away from your book? I fell in love with photography through photography books. It unfortunate that photography books are less appreciated these days. Publishers don’t want to publish them, it is too risky and costly, most photography books sell poorly and ultimately end up on the discount shelves. Doing a crowdfund campaign, like the one I am currently working on, is a way to take some of the risk out of publishing a photography book. If you can get some or all the costs of producing  a book covered first,  then publishers will be more than happy to print it. My publisher, The Mountaineers Books, is a non-profit and they want to make books, but too many failures and they will go in the hole. I feel it is important to keep the tradition of coffee table photography books alive and to encourage the younger generations to put down their phones every once and awhile and look at a book of photographs, the experience is far more rewarding than looking at photography on a screen. Create honest images and work with integrity. Avoid all the gimmicks and fads. Learn the fundamentals and then dive on in! For more information about Carl, visit his website. All images © Carl Battreall.